Trellis has spent half a decade perfecting a top team of full stack developers who can do everything from front-end responsive design with HTML and CSS to complex backend integrations via API's and middleware projects. We have full stack capabilities to keep the entire stack of the application running smoothly. We can provide expert level frontend development leveraging the latest improvements in SCSS, Fluid responsive design, and HTML5. Our team of backend developers has mastered PHP and MySQL to bring the best applications to your business. By following development operations best practices we can maximize the value of your development team. Trellis has Magento certified developers on staff and some of the top WordPress developers in the world. 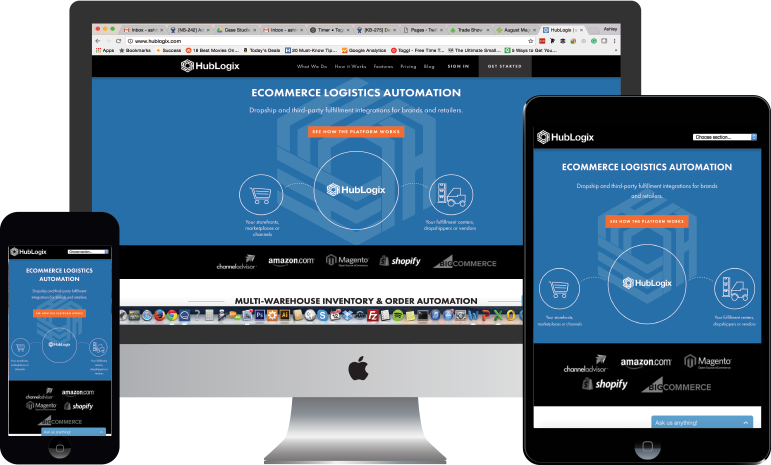 We have built incredibly complex sites on almost all the top CMS and eCommerce platforms like Magento, Shopify, WordPress, Hubspot, and much more. We have a strong development staff that also understands business. Our team will not only develop your requirements perfectly, but we will go above and beyond to suggest the best way to do things based on what we think will help grow your business. We can provide full stack application development for any web project whether its a popular platform or a custom software like we did for this innovative business. Need help with a custom development project?